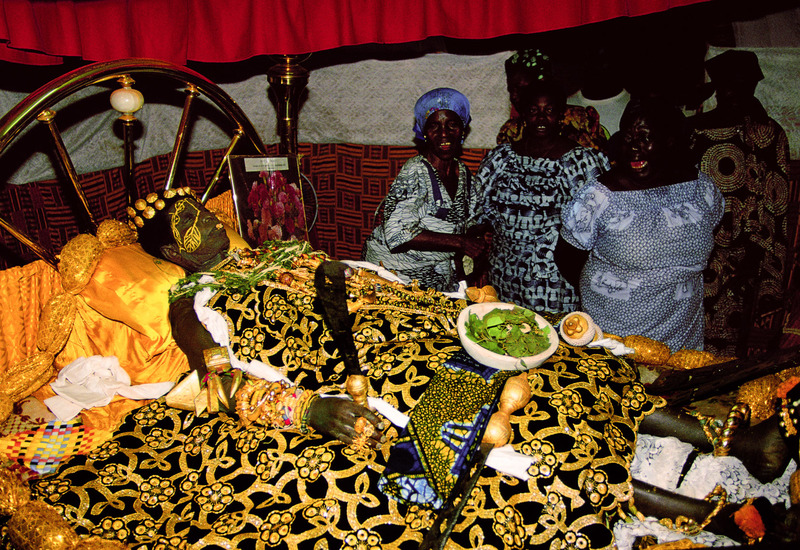 Lying in state in his family home, a Ga paramount chief receives hundreds of farewell blessings from his subjects. He will be buried wearing his robes and gold jewelry. The small bowl sitting on his body contains fresh leaves and herbs. This will be placed in the coffin and represents the meal that he will carry with him to stave off hunger as he journeys into the afterworld.